Opening hours: Most shops are open Monday to Saturday from 9am-7pm. Smaller shops may close at lunch time from around 12pm-2pm. Stores close on Sundays and public holidays except for annual sales events. 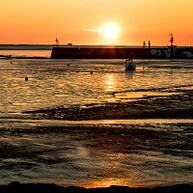 You will enjoy exploring the city on foot, from the old harbour lined with seafood restaurants to the historical centre with its unique architectural heritage and the city walls open for an evening promenade. The city is also a popular resort for cruises, pleasure sailing or fishing. In the Old Harbour and through the Old City’s arched streets you can enjoy a pleasant walk or decide to jump on a horse carriage. You will see medieval houses, fine Renaissance homes and 18th-century residences, as well as sober and noble town mansions from ship-owners. 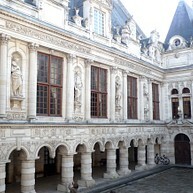 The Hotel de Ville (Town Hall in French) is a Renaissance building protected by a huge Gothic wall. This is one of the symbols of La Rochelle’s history and the architecture is stunning. Inside you can find numerous memories and testimonies of the town's history. 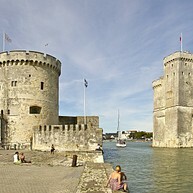 The three 14th and 15th century towers dominate the port area of the city and are architectural symbols of La Rochelle as a strong opponent of state power in the past. You can visit the towers for great panoramic views and some sightseeing! Don´t forget to bring your camera! 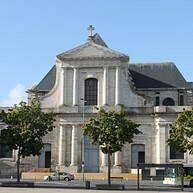 The New World Museum gathers collections of art and historical artifacts of La Rochelle. At this unique museum you can follow the past of the city through many different objects such as paintings, ancient maps and nautical objects, art pieces and sculptures. 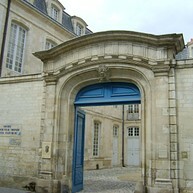 The Maritime Museum is located in the heart of La Rochelle. Here you will find everything concerning the shipping and fishing industry and the maritime history of the city. At this museum you can also go on guided tours and ask questions to former sailors. If you don’t feel comfortable on a boat, you may want to rent a bike and go to the Ré Island on an excursion. 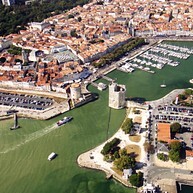 The island is linked to La Rochelle with a 3-kilometres toll bridge. Enjoy the empty beaches, sensational Atlantic sunsets and delicious seafood on this beautiful island! Don´t miss the lighthouse called "Whales Lighthouse" and enjoy the breathtaking view on the top. In La Rochelle you can find one of the largest European aquariums, featuring some 10,000 creatures from the Atlantic, the Mediterranean and even the Tropics! 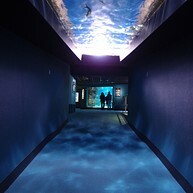 La Rochelle Aquarium is also a centre for the protection of marine species and also a centre for marine studies. If you are staying in La Rochelle and want to go on a day trip, Fouras is a small coastal town that is located south from the port. There you can find beautiful beaches, restaurants and piers. You can also reach the famous Fort Boyard by ferry from there. 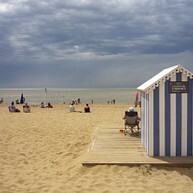 Plage de Chatelaillon is a popular beach resort located south of the La Rochelle's city centre. Enjoy your day here walking along the seaside on this long stretch of golden sand. In the evening you can have a nice dinner in one of the cosy restaurants. This Roman Catholic cathedral is a national monument of France since 1906 and can be found in the city centre and is definitely worth a visit. Cathedrale St-Louis is truly majestic and inside you can find many masterpieces, beautiful stained glass and side chapels. In 1941, the La Rochelle Bunker was built by the German occupants in secrecy. Today the bunker is a museum that traces back to the period of the Second World War in La Rochelle. In the museum you can see photos, videos, military artefacts and much more. 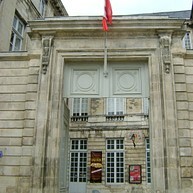 The Museum of Fine Arts (Beaux-Arts in French) of la Rochelle has a rich collection of art works. The beautiful museum is located in the centre of town and is well worth a visit. Here you can find art works by Eugene Fromentin, William Bouguereau and Camille Corot. 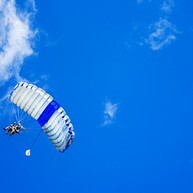 If you are feeling adventurous, contact Altitudes Parachutisme. They are located right next to the airport and offers both solo and tandem skydiving. This will for sure be an experience, combining amazing view over the spectacular coast as getting an adrenaline rush! The Musée des Automates is a small museum, showing 300 automated dolls from the last two centuries including life-size figures and a full-size re-creation of a street in Montmartre with shops displaying automatons in motion in their windows. In the second museum, Musée des Modèles Réduits, next door, they display models of boats, trains and cars. 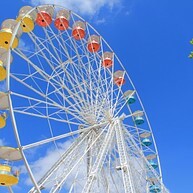 Take a ride in the big wheel and enjoy a panorama view of La Rochelle. Day and night, you will enjoy a beautiful view of the city and its surroundings. Just make sure to bring the camera with you and take some beautiful shoots of the city.